From 2014 to 2017, fans of Madam Secretary were thrilled by Bebe Neuwirth who played Nadine Tolliver in the CBS TV Drama series. Prior to her exit, she appeared in the previous 4 seasons of the series playing the role of the chief of staff. With everything going on smoothly, her unprecedented exit left many questions on the part of fans of the show as well as her own fans on what actually happened. Read on, as we bring you everything you need to know about the Amerian actress below. Neuwirth is a multitalented American who has become famous as an actress, singer, and dancer. She was born Beatrice J. Neuwirth in Newark, New Jersey, on December 31, 1958, to Lee Paul Neuwirth and Sydney Anne Neuwirth. Bebe Neuwirth began attending ballet classes when she was just 5. A year prior to that, she saw The Nutcracker with her mother, and that was also something that encouraged her to begin dancing. Until she was 15, her dream in life was just to become a ballerina. However, she later decided that she would become a Broadway musical dancer. Growing up as a child who was mostly independent, she was not the easiest child to raise, as her parents confessed. When she was only 13, Bebe’s path with the law crossed and she got arrested for smoking marijuana. The actress got her education from Princeton High School from where she graduated in 1976. She then went to New York City where she attended Juilliard school only to leave a year later because she did not like it and it had no broadway dance training. Her next move was to YWCA in New York where she took singing classes. Bebe Neuwirth began her career in the theatre before she later moved to TV and film. On stage, she appeared in A Chorus Line (1980), Dancin’ (1981), and Little Me (1982). Her most recent stage appearance as in 2014 when she was in the Broadway, Chicago. From 1986 to 1993, she played the role of Dr. Lilith Sternin-Crane in the TV series, Cheers. The years that followed saw her in a number of others such as Frasier (1994 to 2003), Deadline (2000 to 2001), Blue Bloods (2013 to 2019), and Madam Secretary (2014 to 2017). She has also got roles in many films such as Say Anything… (1989), The Big Bounce (2004) and Humor Me (2017). Her career has been decorated with many awards including two Tony Awards, two Primetime Emmy Awards, and Drama Desk Awards. 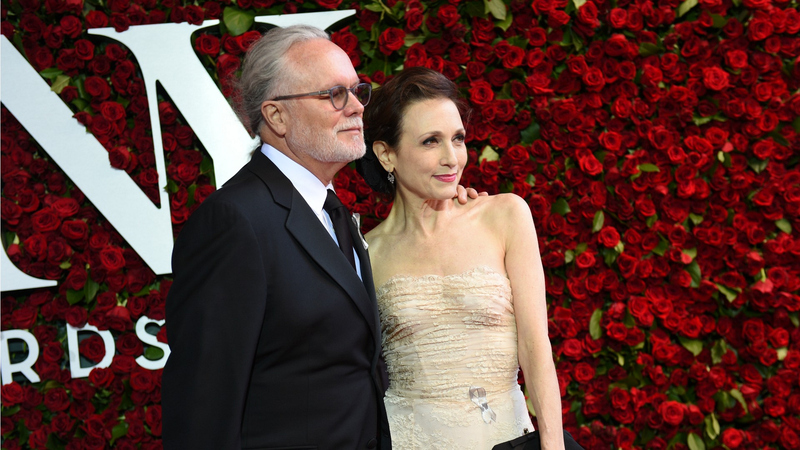 A quick glance into her personal life, Bebe Neuwirth has been married twice thus far. Her first marriage was to Paul Dorman whom she met in 1982. They tied the knot in 1984 only to end the union 7 years later. Her next marriage was in 2009 to Chris Calkins. Although the couple doesn’t have kids yet, they have have been living happily ever after. Why Did She Leave Madam Secretary? When the CBS political drama TV series began in September 2014, one of the main characters was Bebe Neuwirth who starred as the chief of staff. Three years and 4 seasons later, Neuwirth announced on her Twitter that she was leaving the show. One of the most loved characters in the show, she made it clear in her tweet that she requested to depart from the series. In the three tweets she made, Bebe appreciated the time she spent on the show with all the other cast members, crew, and background artists, before thanking CBS for granting her request to depart the series, and then finally thanking all that have supported her. With that, it is clear that she left the show in good terms with all others involved including CBS. In the show itself, Nadine Tolliver left because she felt that the public service which she loved, had become vicious and she didn’t want to spend her career fighting. Her final episode in which she stepped down as the chief of staff aired on 22 October 2017. The reason given was that apart from not wanting to keep fighting, was that she also wanted to be close to her son and grandson. In real life, however, the reason for her departure is still unknown as she has not said anything about it. Not too long after she left the Drama, CBS invited her for yet another of its web TV Series, The Good Fight in 2018. She appeared in the Day 443 Episode of the series as Judge Claudia Friend.